…will never truly be a Day Off. There is always so much to do! Oh, well, I suppose I like it like that. 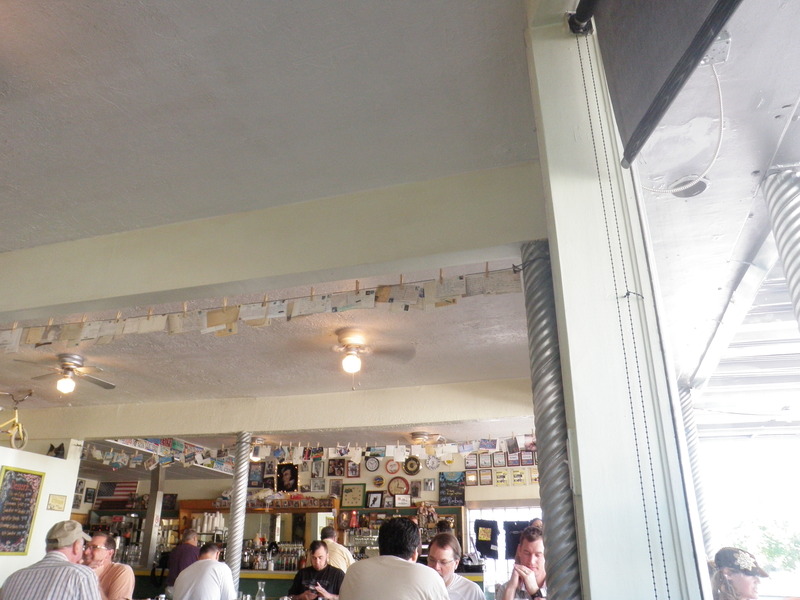 And some of it was fun, like breakfast at Blue Plate with Dad. It’s in sort of a weird spot, with lots of businesses around, but still close to a very residential area (the suburbs), and far enough away that I’ve only ever been there twice. 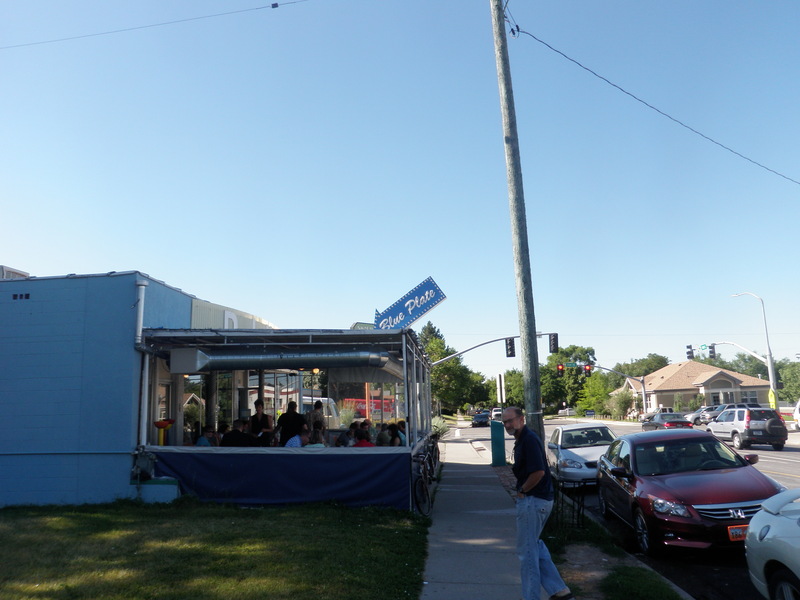 It’s not downtown, is what I’m saying, but something about the busy road going right past and the surrounding strip-malls make it that much more quintessentially American–a good ol’ fashioned road-side diner. But with vegan stuff, too. But it’s not all ours, I swear! 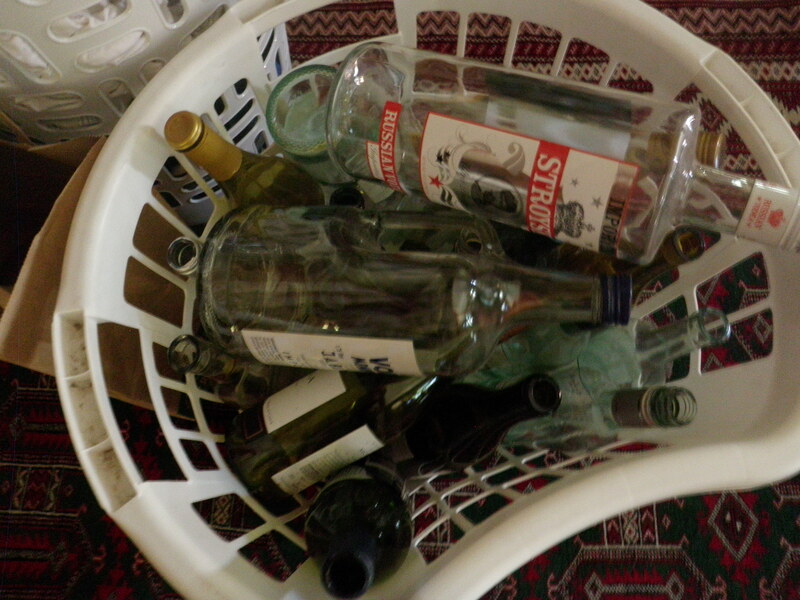 It’s just the glass recycling, which I went and dumped/crashed/smashed/recycled this morning, as a favor to the family. Because their cat died while we were on duty. Because throwing glass into a big dumpster filled with already glass is fun. -new page layout! yay! more widgets! -finally posting about Portland! and Boise! and Long Island! this is kind of a travel blog, right? -pictures of my “new” apartment, where I’ve been living maybe since late March. but it’s still new. to me. -you! having a nice day! enjoying the sunshine! eating burgers, why not? What location in America is this! I love it AND what you wrote. It is like running into those sleepy little towns in the U.S. that no one has heard of but when they get there they love it! I’ve been to those ‘pleasantvilles’ before! Winter Park Fl. is pretty. It’s Salt Lake City, UT, one of the last original places on earth.